The new Aussie brand Ride 858 brings us the highest range of freestyle scooters - the High Roller. Scooter has an excellent, light, wide board with Square dropout finish. Thanks to grindas you will no longer be troubled. 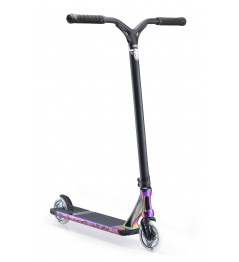 The Scooter has been tested by the best riders from Australia and Europe for several years. Made of the finest possible materials. It really takes a lot! (including fatheads). 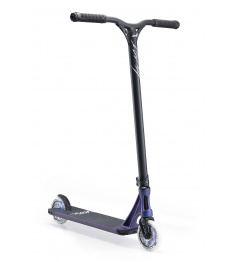 The scooter's strength is also provided by the SCS , which holds your handlebars and fork very well. 120 mm castors deliver speed and stability and, of course, they are lightened thanks to the hollow centers. 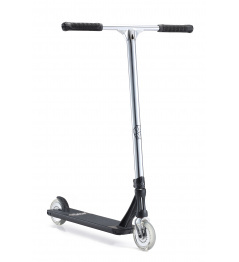 Aluminum handlebars add lightness to scooters and are great for barspins or scooters. 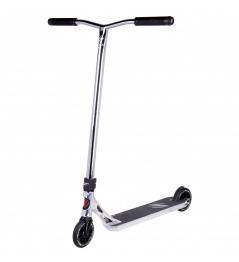 Thanks to this cruel scooter, tricks will go like butter! We recommend all advanced and demanding riders. 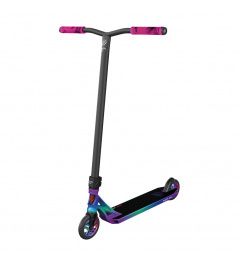 0 Review "Ride 858 High Roller MK-2 freestyle scooter brown"